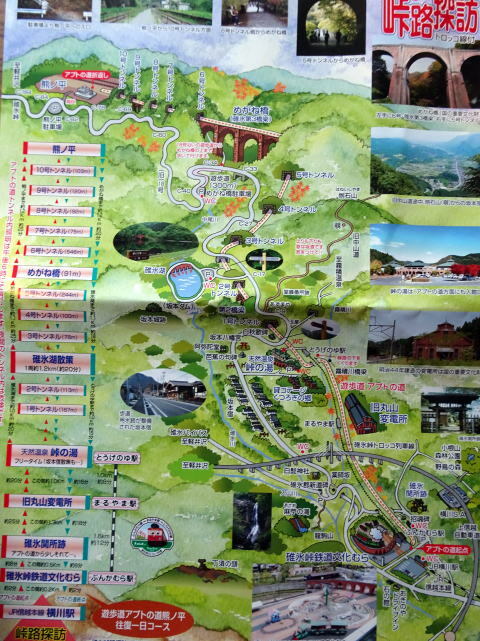 the major transportation routes in central Japan since at least the eighth century. 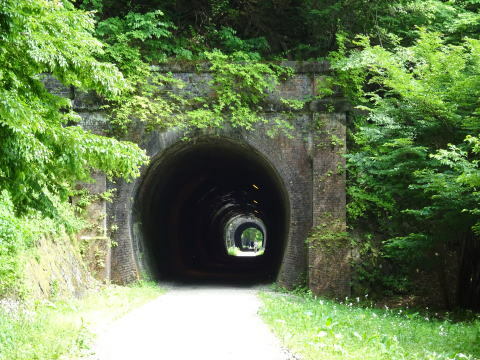 opening of the new Nagano Shinkansen line that detours the pass with a long tunnel. 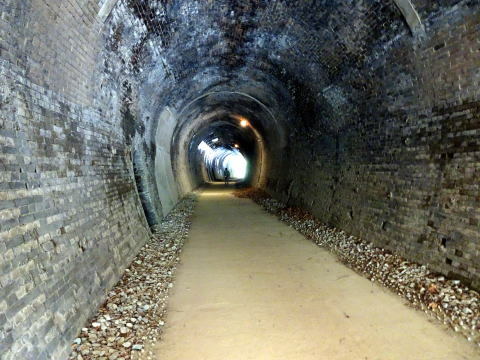 completed in 2012. 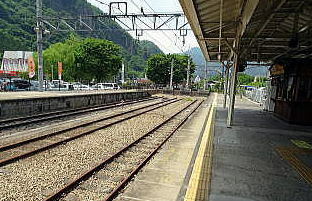 The total length from Kumanotaira to Yokokawa is 6.1 km. 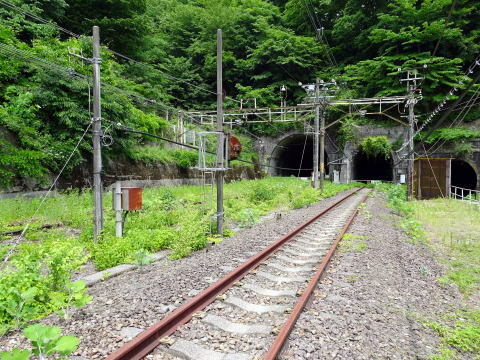 (L) The west end of a tunnel that is viewed from the discarded Kumanotaira station. 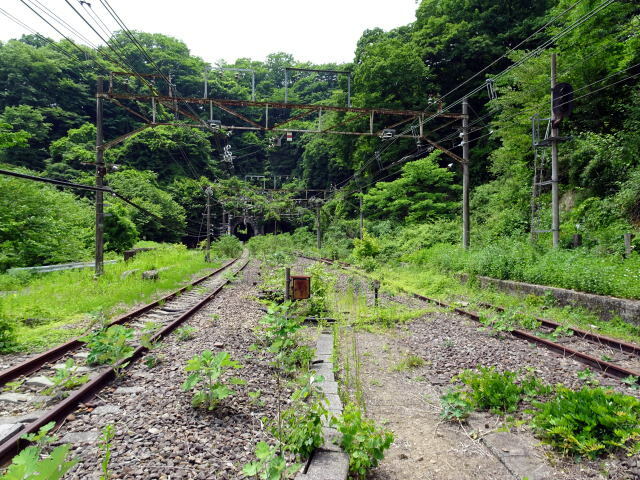 The strategic railway point of traffic has now turned into ruins. 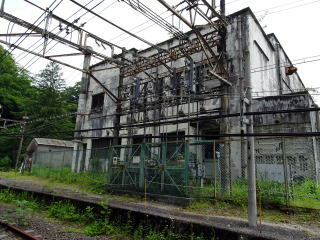 (L) Kumanotaira substation was built in 1937. 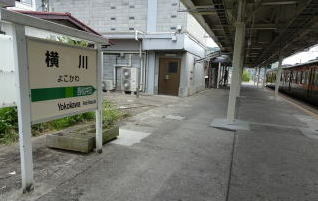 The role of this facility has ended in 1997. 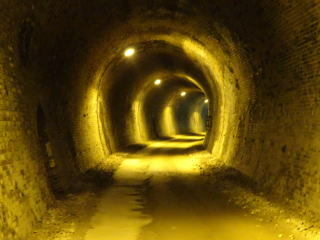 (R) The west end of tunnels is closed at Kumanotaira. 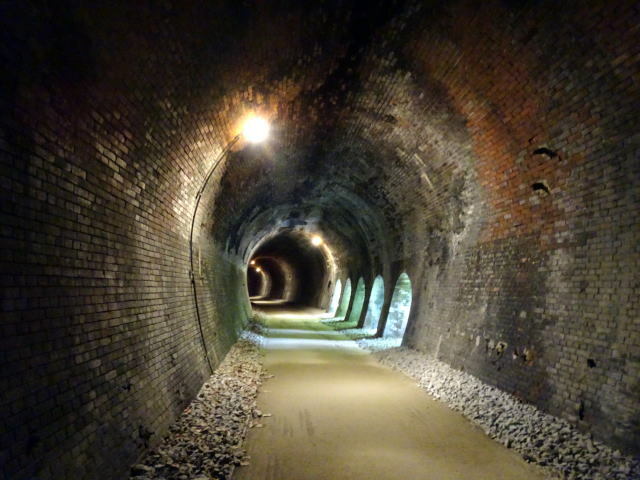 (R) The space between tunnels, it is filled with green trees. 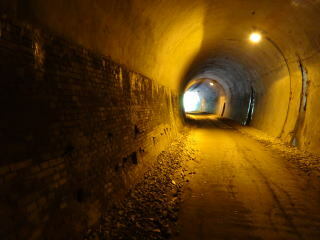 (L) A wall of the tunnel has begun to be partially damaged. 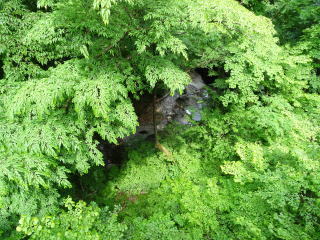 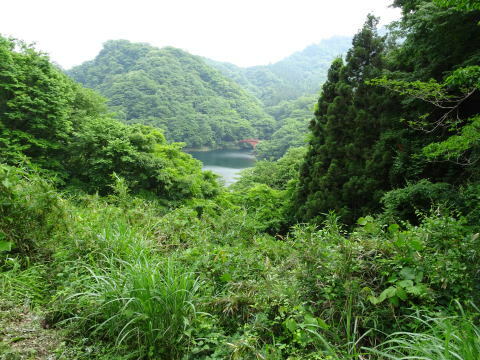 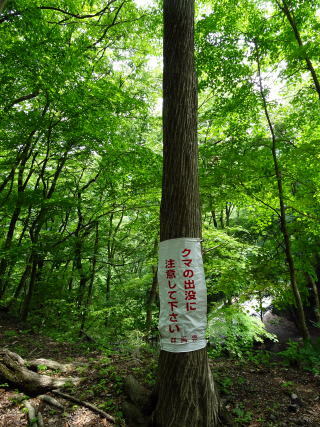 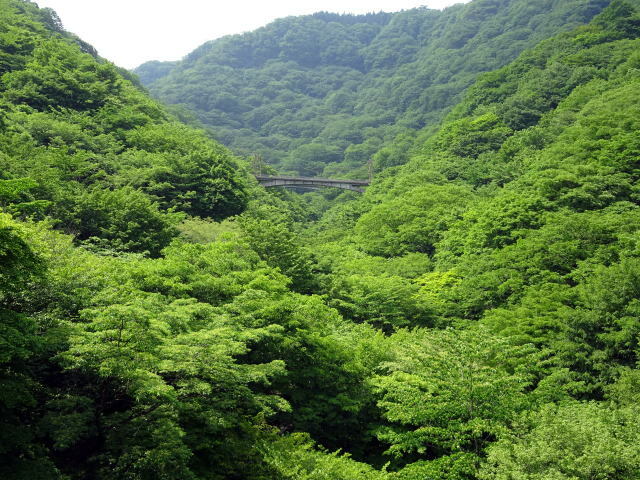 (R) A clear stream is flowing between the forest with a fresh green. 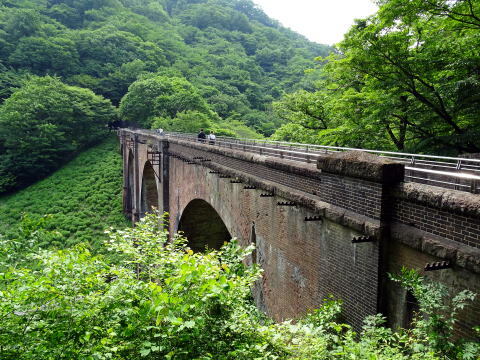 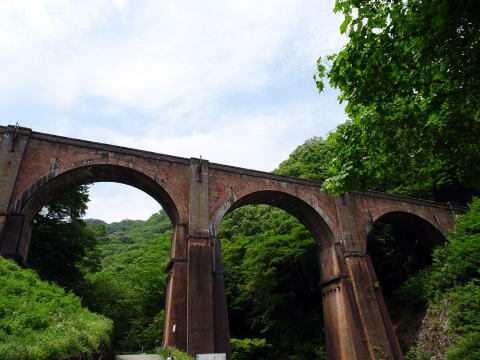 Megane Bridge, the largest brick bridge structure in Japan: This bridge was used until 1963. 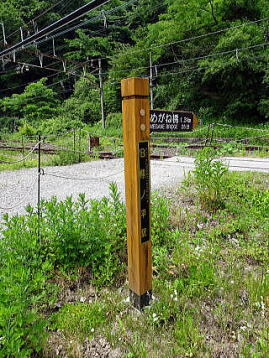 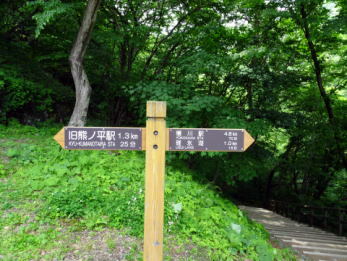 The total length is 91 m, the height 31 m.
(L) A signpost shows the distance from this point to Yokokawa 4.8 km. 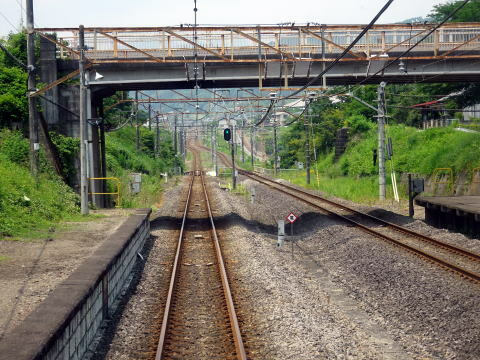 (R) A new railway-track bridge was completed in 1963. 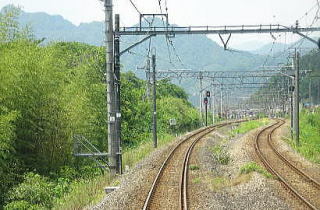 After the construction of a single line, a double-track railway line was completed in 1966. 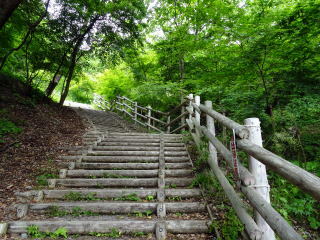 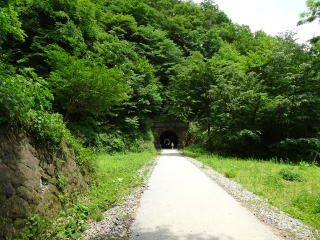 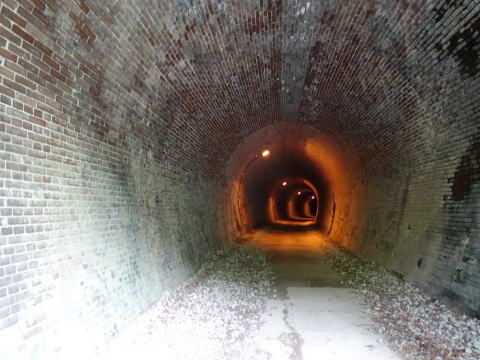 (L) There are many tunnels between Megane Bridge and the southern end of the mountain promenade. 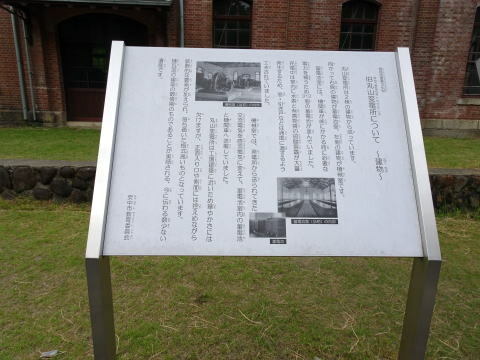 Maruyama substation: This facility has been used from 1929 until 1997. 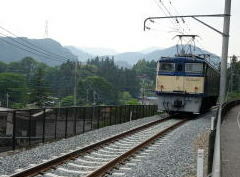 (L) A train on Shinetsu Main Line is leaving Takasaki station for Yokokawa. 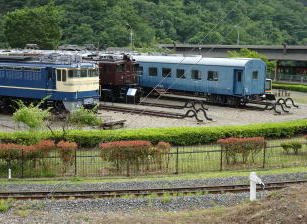 (R) Matuida station was moved to the new place, after demolished the old station, which was once a railway station of switchback. 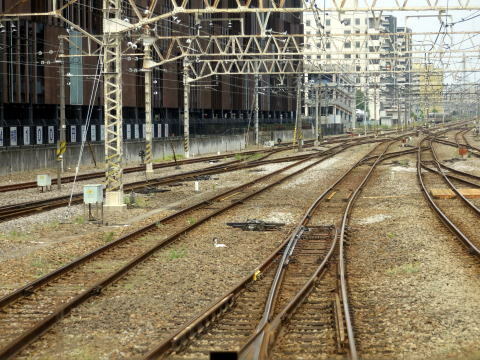 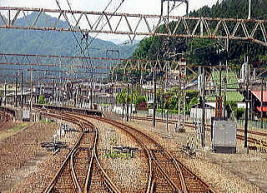 Shortly before arriving at the Yokokawa station, the railway trach is divided to a separate line. 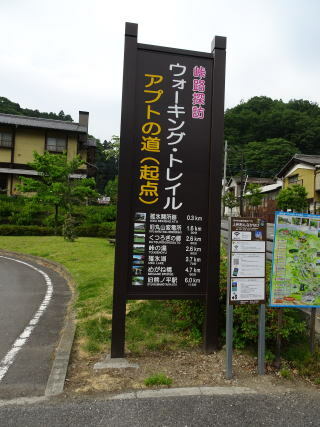 Here, the distance to Nagano is 95 km, to karuizawa 21 km. 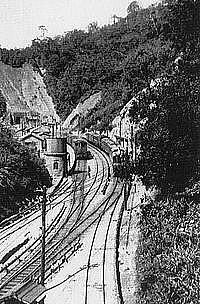 (L) Abt railway system was devised by Roman Abt, a Swiss locomotive engineer. 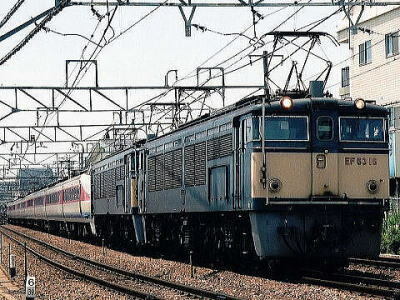 (R) EF63 Electiric locomotive pulled a limited express train 'Hakusan' in 1997. 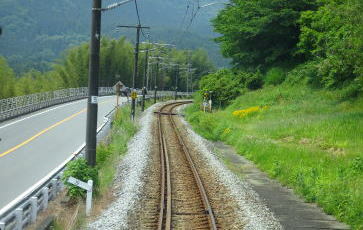 (R) An old rail track is presently used as a railway of a trolley train. 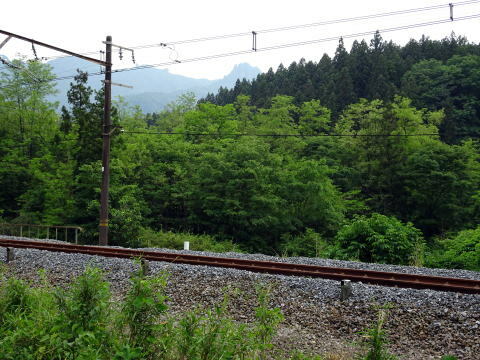 We can see Mount Myogi in the distance. 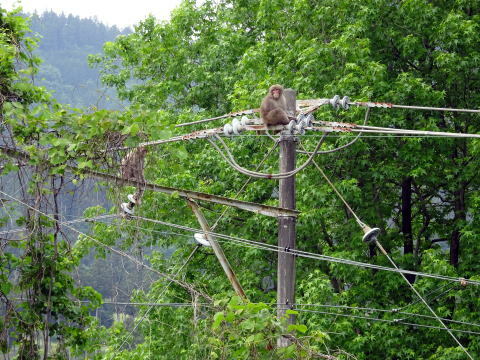 (L) Two monkeys are shaking wire that is not active. 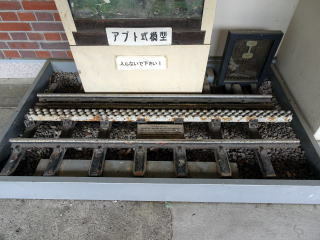 (M) This is the only place in which an ordinary person can drive a genuine electric locomotive. 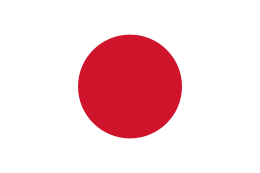 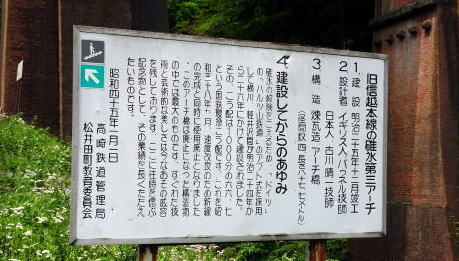 You have to receive one-day lecture and to pay 30,000 yen plus 5,000 each time you drive. 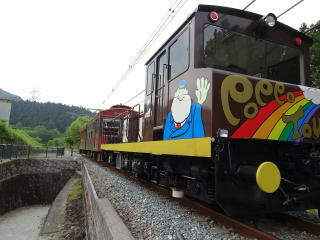 (R) A trolley train is running between Yokokawa station and Togenoyu hot-spring resort. 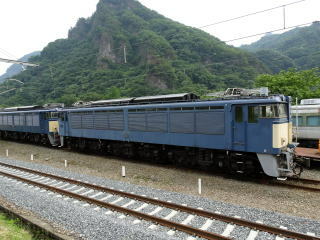 (L) Railway-culture village (M) Electric locomotives are used in pulling a passenger vehicle over the Usui Pass. 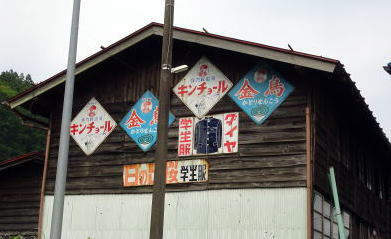 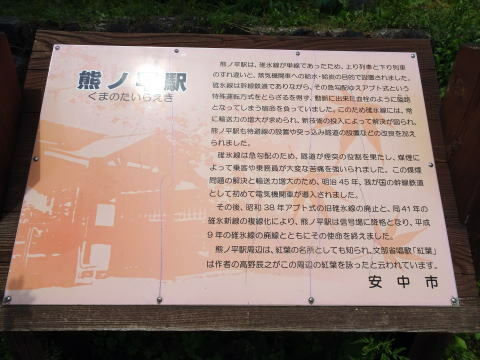 (R) Old advertisement board of 'Kinchoru' has used since 1934. 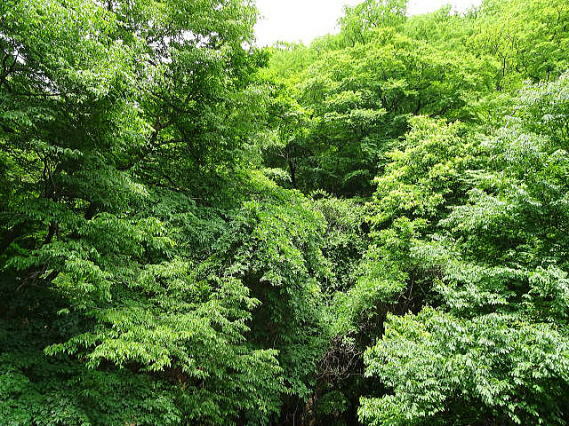 The article was written in May 2016, by Junhaku Miyamoto, M.D., PhD.